Say you’re out hiking in the middle of nowhere and BAAM! You turn your ankle! 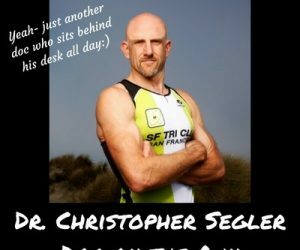 Dr. Segler gives us an amazing interview on what to do if you twist your ankle and think you’ve sprained it, how to prevent such injuries in the first place, why buying too big of hiking shoes or boots may not be the best idea, he gives us an ankle strengthening exercise, plus offers us a helpful self-test to see if we are at risk of a sprained ankle (see my video below). Who knew ankles could be so interesting?!!! In our interview, we never got to the other parts of the body that hikers often injure, so Dr. Segler has agreed to make this a multi-part series!